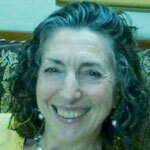 Hazel Singer received her BA in Urban Planning at the University of Washington, focusing on Community Organization. She received her MA in Economic Geography at the University of Washington. Her thesis was on The Role of Federal Funding of R&D and its Impact on Technological Change and Regional Economic Growth. Hazel’s work experience relates back to and is reinforced by her training in Economic Geography and Urban Planning: understanding how systems (transportation, social services, manufacturing, health, small and large businesses, communities, government, etc) function in a region; what are the constraints and obstacles to successes and efficiency; and how to increase participation by all citizens in these processes so that they have a stake in positive outcomes. Hazel grew up in South Africa and her life and philosophy have been informed and shaped by her parents’ anti-apartheid activities.